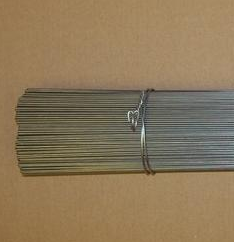 We have available a wide variety of sizes from 26 Gauge to 9 Gauge, and finishes which include Black Annealed, Galvanized Annealed, Coppered and Stainless Steel. We offer competitive prices, reliable delivery schedules and the quality you would expect from an American supplier. Whatever your cut wire needs may be, from tag wires to foundry core wires, from lathers wire to grape tie wire, or suspended ceiling wire we can supply it. All size orders are welcomed. Call or email your request today.